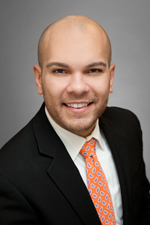 Jason Santos represents an array of individuals and businesses—including Fortune 500 financial institutions, debt collection agencies, mortgage loan servicers, law firms and business executives—in commercial litigation and consumer actions. Armed with a proven track record for success in all aspects of litigation, Jason prioritizes client service and ensures his clients are informed and prepared throughout the litigation process. Jason has extensive experience litigating claims brought under various state and federal laws, including the Fair Debt Collection Practices Act (FDCPA) and the Telephone Consumer Protection Act (TCPA), as well as the Fair Credit Reporting Act (FCRA) and the Illinois Consumer Fraud and Deceptive Business Practices Act (ICFA). He also advises clients on matters involving breach of contract, wage and hour litigation, residential foreclosures and commercial real estate, providing them with contractual reviews and assisting with leases for their commercial spaces. A portion of Jason's practice is also dedicated to commercial litigation claims involving tort, contract and statutory violations in complex commercial foreclosure, guaranty and loan liability actions and post-judgment collections. Jason is recognized as an emerging leader with extensive contributions to firm citizenship. He plays an active role in advancing diversity and inclusion at Hinshaw. In the fall of 2017, Jason was part of the winning team honored with the Best Team Pitch award at the 5th Annual Rate My Pitch Program. Prior to practicing at Hinshaw, Jason was a both a law clerk and a summer associate with the firm. He was also a law clerk with the Chicago Housing Authority. Equality Illinois strives to build a better Illinois by advancing equal treatment and full acceptance of the LGBTQ community. Center on Halsted is the Midwest's most comprehensive community center committed to advancing community and securing the health and well-being of the LGBTQ people of Chicagoland. Review criminal records of program attendees to determine whether they qualify for adult expungement or sealing and assist as needing with the filing of related court forms.